Inspired by microblading, Revolution Pro Microblading Precision Eyebrow Pencil allows your to create natural, hair-like strokes without the permanence! The ultra fine nib makes it easy to create fluffy, defined brows. Apply in short strokes to shape, define and fill in sparse patches. Brush through with the spoolie end for a natural finish.Twist up just as far as your need. Explore the entire range of Eye Brow Enhancers available on Nykaa. 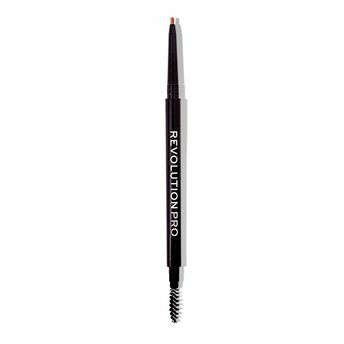 Shop more Revolution Pro products here.You can browse through the complete world of Revolution Pro Eye Brow Enhancers .Alternatively, you can also find many more products from the Revolution Pro Microblading Precision Eyebrow Pencil range.